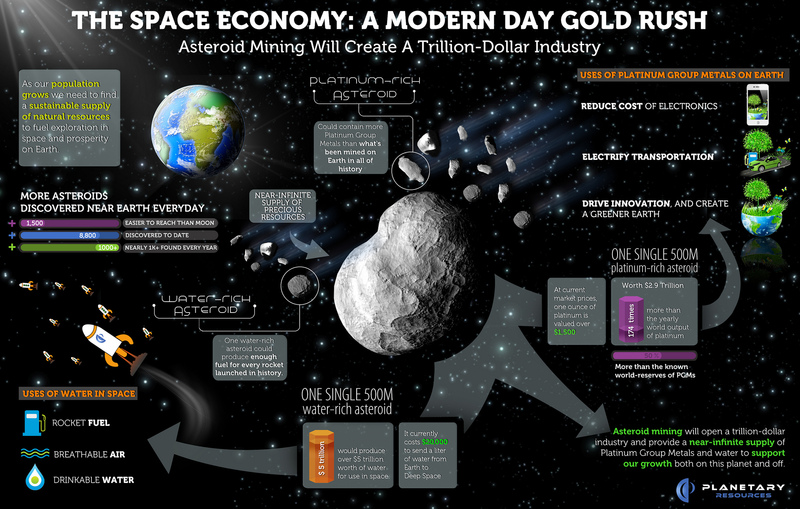 Space mining start-up Planetary Resources has put together quite the infographic to explain how asteroid mining will create a trillion-dollar industry. The company says there are over 1,500 asteroids as easy to get to as the surface of the Moon. They are also in Earth-like orbits with small gravity fields, which make them easier to approach and depart. The most important aspect of asteroid mining is that those celestial bodies are platinum-rich. Mining them would come in handy as Anglo American Platinum (Amplats), the world’s top platinum producer by volume, announced Tuesday it is planning to close several of its mines, which would cause a shortage of the precious metal.